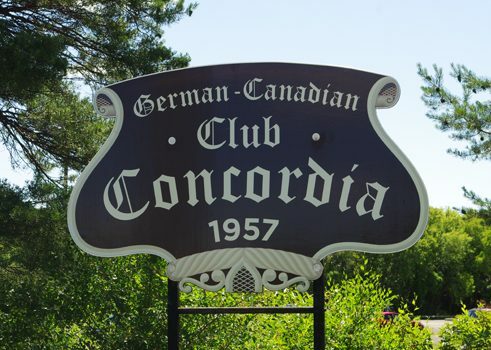 The German Canadian Club Concordia was founded in 1957 by Eugen P. Boensch and a handful of immigrants who were willing to serve as directors of the Club. 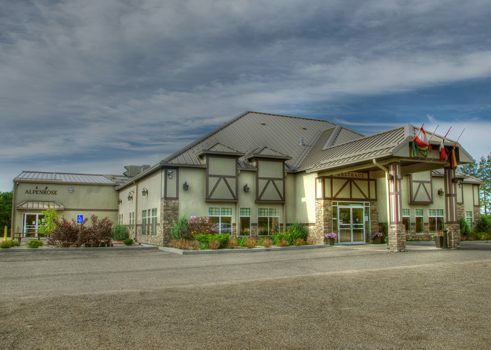 The members socialized at several venues all over Saskatoon until the present location was purchased. After enthusiastic volunteers had completely renovated the old “Chicken Inn” the Concordia Club opened its doors in 1968. The large hall was built from 1986 to 1987 under the presidency of Herb Pexa in the old German Fachwerk style. In honour of the founding president, the hall addition was named “Eugen Boensch Halle”. At the end of 1987, a beautiful Gasthaus lounge and “Edelweiss“ dining room opened. The lounge sported a large “Kachelofen” (ceramic tile fireplace), a “Stammtisch” and a bar to give it more character. Sadly, the building burned down in 2009 but in 2012 the doors opened again to the current re-named German Cultural Centre. The new building has two halls in the back with a restaurant in the front. 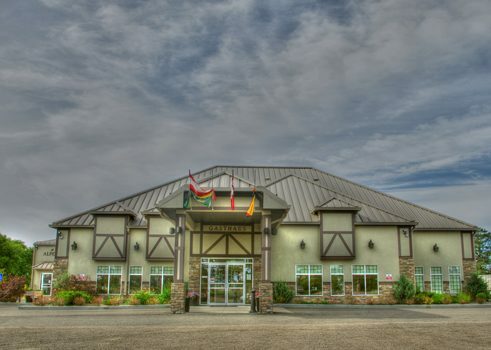 In “Sudeten in Saskatchewan – A Way to be Free” by Rita Schilling, it is mentioned that the members of the club also welcomed Sudeten refugees to Saskatoon. The Sudeten came by way of train and had a stopover in Saskatoon while on their way to St. Walburg. “The stopover provided the refugees with a stroll around Saskatoon to enjoy the city sights. A Canadian pointed out the City Hall to one of the refugees. The Sudeten nodded as he repeated the words ‘Ja - City Hall’ in perfect English. Then he smiled and added, ‘Ve say Rathaus;’ this very much surprised the Canadian who understood, ‘Rat House’”. “Sudeten in Saskatchewan – A Way to be Free” by Rita Schilling is available at the Saskatchewan German Council.